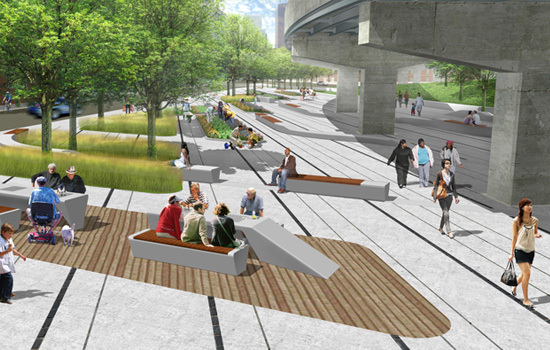 I can think of a hundred potential underpasses that would make for fantastic Underpass Parks in Chicago. Besides the fullerton street skate park, do you know of any others in chicago? I have personally been dreaming of designs for the numerous I-55 underpasses along Archer Ave between Chinatown and Mckinley Park.